Planning to go on an outstation road trip? Then organise your journey with us as we provide the widest range of luxury vans for outstation. Our car coach rental in India are comparatively low even in the face of rising prices, which means that you do not have to worry about heavy expenses incurred on travel. Be it any kind of outstation trip, you can be assured about our luxury van services on rental known for outstanding and customisable solutions to suit tourists’ needs and put them at ease. 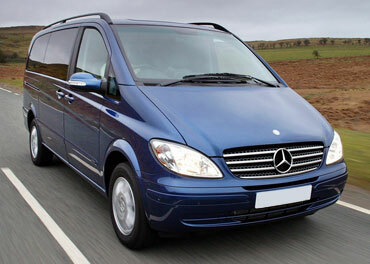 Tourists, both local or outside Delhi, book our luxury vans on hire to travel new and exotic places around the country. In addition, you may consider using our luxury vans on rental for corporate tours too. Our luxury van fleet includes Alphard Van, Commuter, Fiat Ducato, Mercedes Viano, Nissan, Sprinter Van, Toyota Hiace and Tempo Traveller. These vans come at varying seating capacities and luxury accommodations, which means that we cater to both small and large groups of tourists. 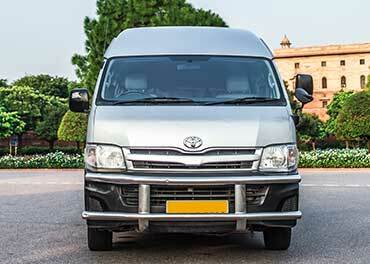 KTC continues to be the most sought-after service provider of car coach rentals in India since 1943. 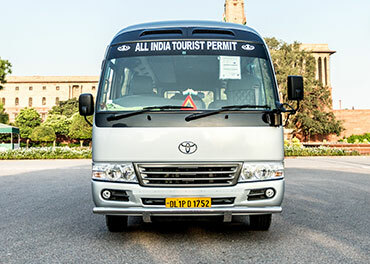 With an experience of more than six decades into providing tour services, be it group travel, corporate tours or a trip to some event within the city or outside, we have claimed renown for our focus on quality travel at affordable rates. Perfectly in sync with your travel programme and budget, KTC provides special family tour and group tour packages during festivals, celebrations and important occasions during the year. With such a wide range of options available at reasonable rates, you could not have asked for more. If you are looking for travel details for a trip within or outside Delhi, then browse our website for the broad range of luxury vans and car coaches on rental available and their corresponding rates and charges. However, if you are planning a special trip for your loved ones and are looking to add that extra “zing” to your trip, you may contact us for tailor-made services at minimal additional charges.